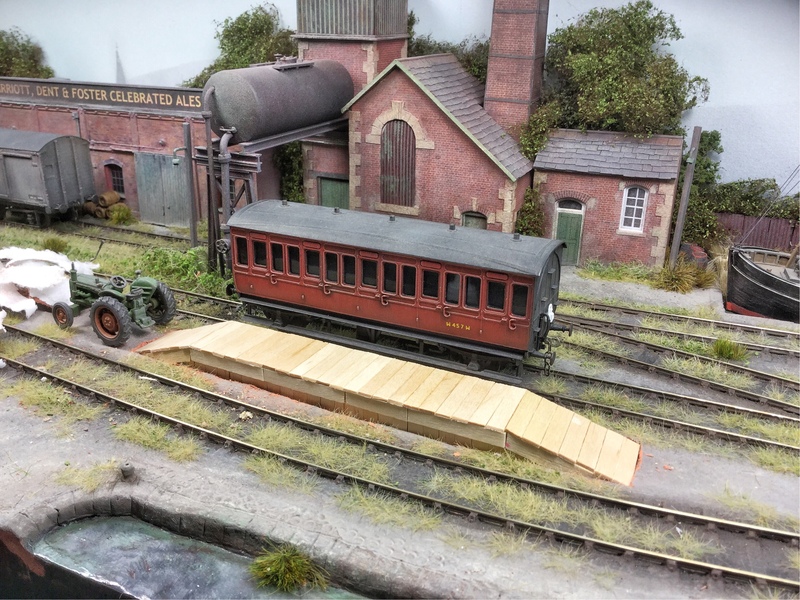 On the pick-up goods, Guildford shed's No. 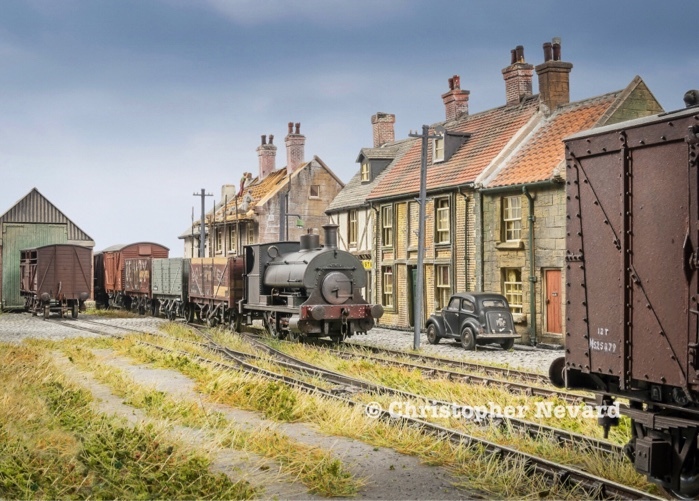 33019 simmers in the goods yard at Porth Emmet Railway Station - click to enlarge. 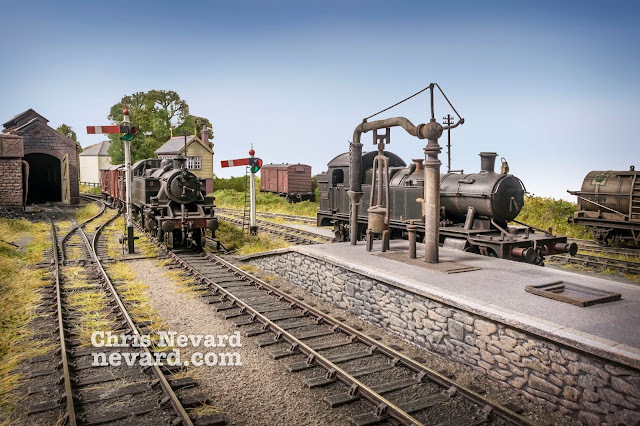 Recently I was commissioned to build a traditional 5 x 4 foot trainset. I've wanted to build such for some time, so this build was going to be even more fun than usual. 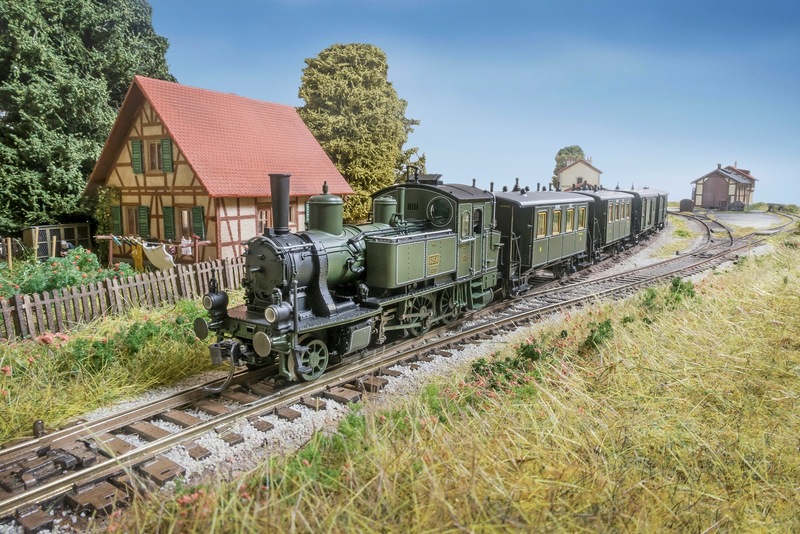 I have a feeling that even the most serious diehards of the hobby secretly crave a traditional trainset, though they might not mention it to their peers! 5 x 4 feet of roundy-roundy trainset joy. Operation is surprisingly fun, with much of the charm being to simply let a train run round and round and round and round and round and round.... Click to enlarge. Design wise, seeing what could be shoe horned on to a dining room sized board without cramping things was going to be fun. 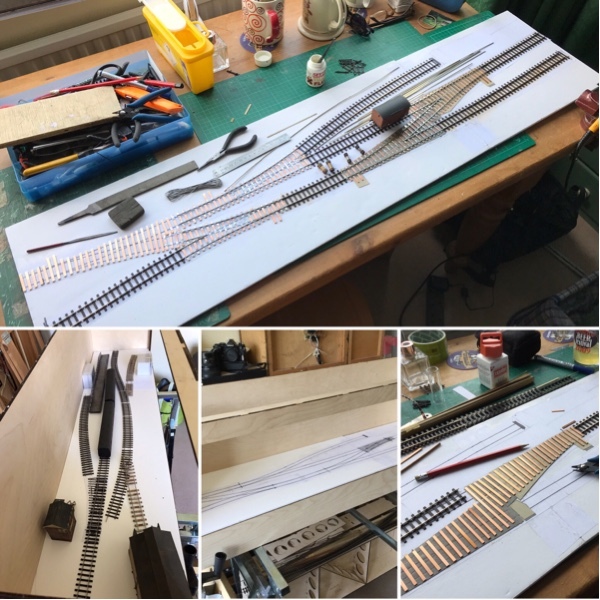 With the sharp set track curves, I could have packed a lot more track in, but then I fear any lean towards 'realism' would have been compromised. Part of the brief in addition to the set track, was to use as many pre-made items as possible, partially to keep the cost down (because I wouldn't need to charge for scratch building), but also to achieve a speedy build if to demonstrate that model railways don't have to take years. 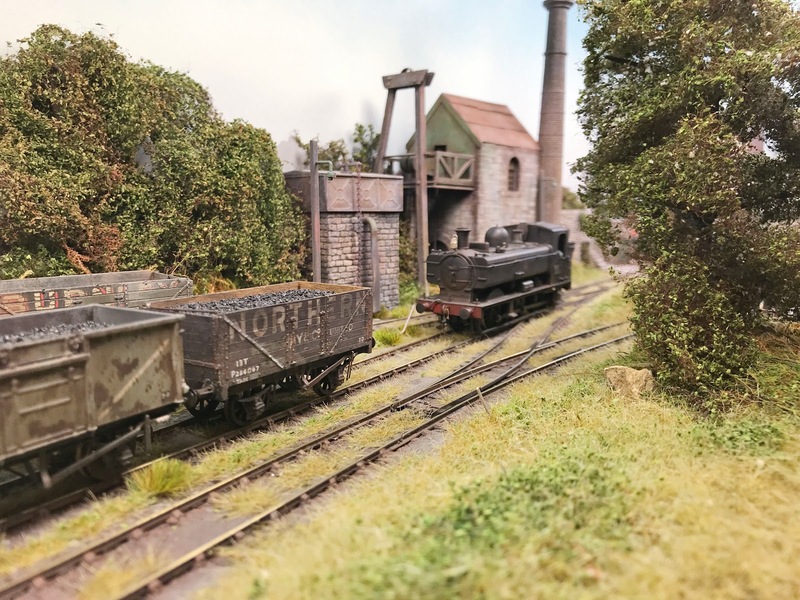 However, whilst all the tricks of the trade were embraced for rapid result, I wanted the scenic treatment to be at the same level as my more serious model railway builds. 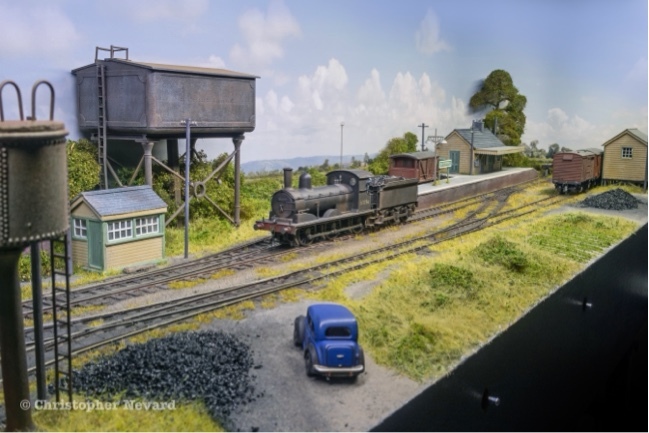 The layout took just 11 working days, spread over a two week period. This layout will be on permanent public display at Kernow Model Centre's new Guildford store from May 2019. A personal quickie I worked on last week for me between commercial jobs, all on a 3x1 plank. 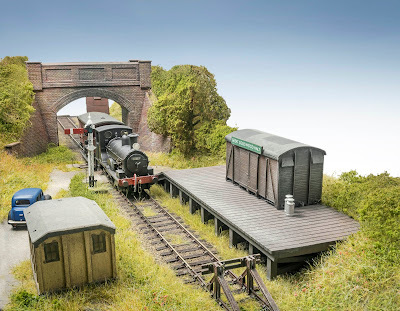 The inspiration is the Wisbech and Upwell Tramway, a mostly unfenced railway that ran next to, or actually along the road in deepest Cambridgeshire through to the 1960’s. Give it a Google. The wonderful town buildings were a lucky secondhand find, they just had to be used, they were very much the catalyst for this speedy project. 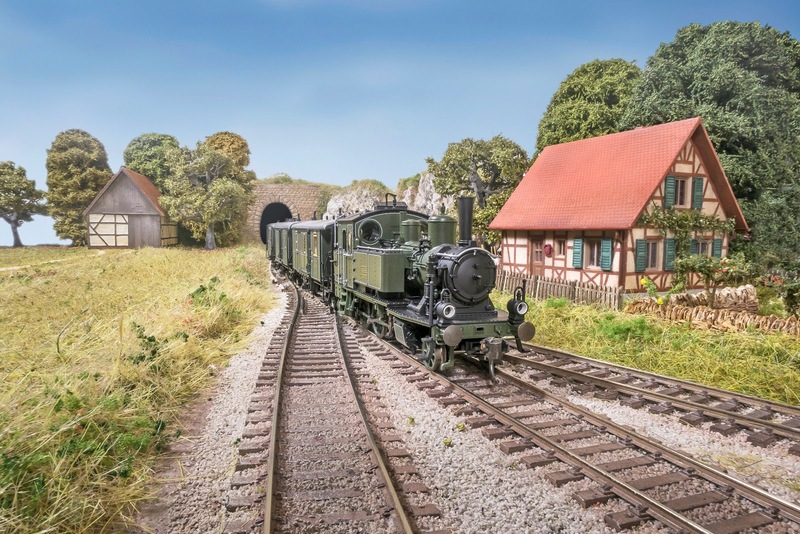 The buildings are at least at least 30 years old and once lived on a much bigger layout which has since been broken up. Sadly I have no further information to hand. 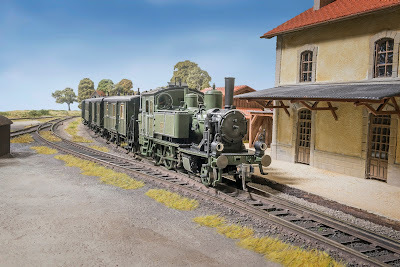 If you know of the layout or the builder, please comment in the comments section. 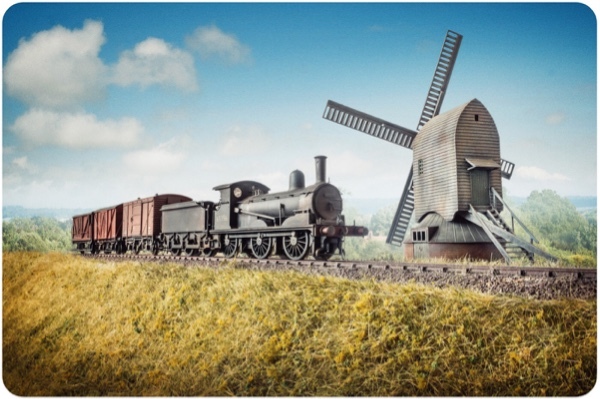 The windmill is an Airfix/Dapol kit knocked up in the spring, in reality such a structure would have fallen out of use a good century before the railway came. The rail served shed with door is a chopped up Bachmann colliery wash-house modified with pitch roof and doors. Its use is a mystery, maybe a paintshop for pumpkins or storage for pedant’s ruck sacks. 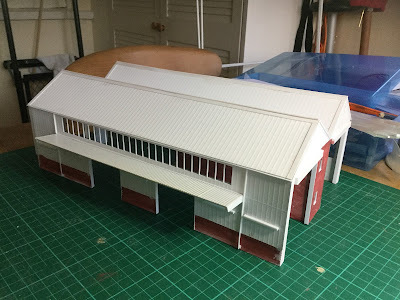 The other shed, another ready to plonk thing that had been gathering dust. Track is PECO, ballasted with sieved grit from our local common. The cheapo quickie cobbles were created using the empty shell of a ballpoint pen pressed in to Das clay. All in all around 18 hours work, this project being more an assembly of existing bits than a true build. 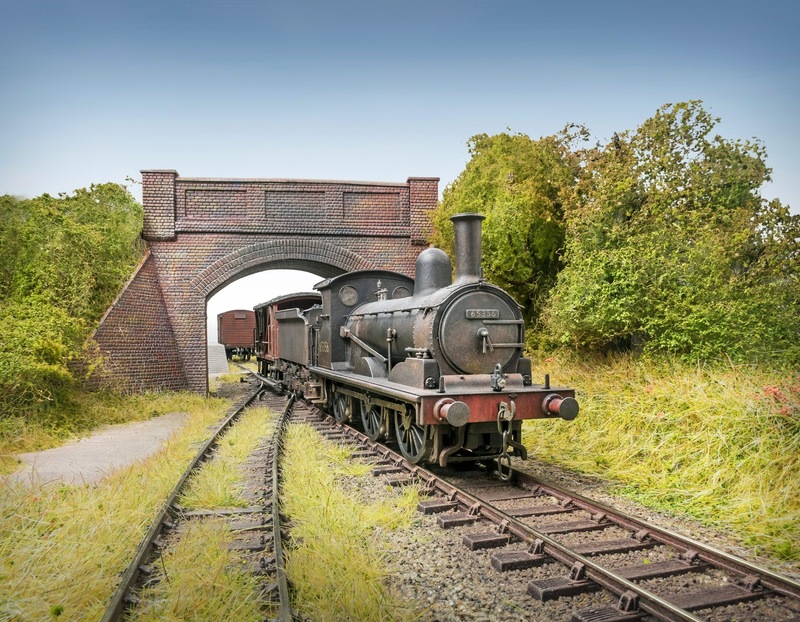 It will link in to other modules in due course to allow through running. 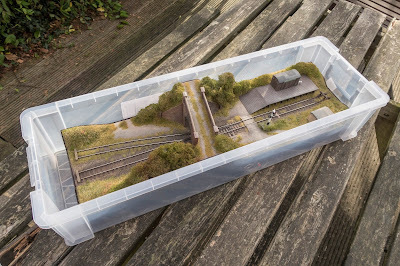 At some stage it will live in an illuminated diorama case to fit it with my other layouts. 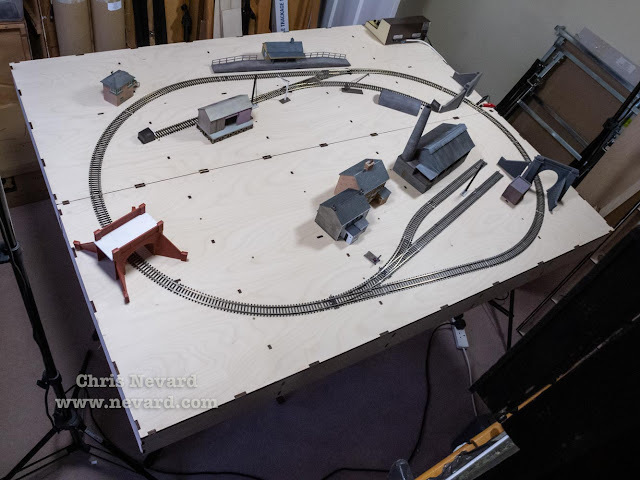 Track has been aligned so it can connect to my other layout Brew Street. I’ve Brew Street booked in to the Rochdale Expo In April 2019, so will probaby add this module. For my current customer project based on a Colonel Stephens style branchline terminus in OO (1/76 scale), I'm using the Peco Lineside LK 200 Wooden Station building kit, which for the price between £10 and £15 depending on where you buy it from is a steal. 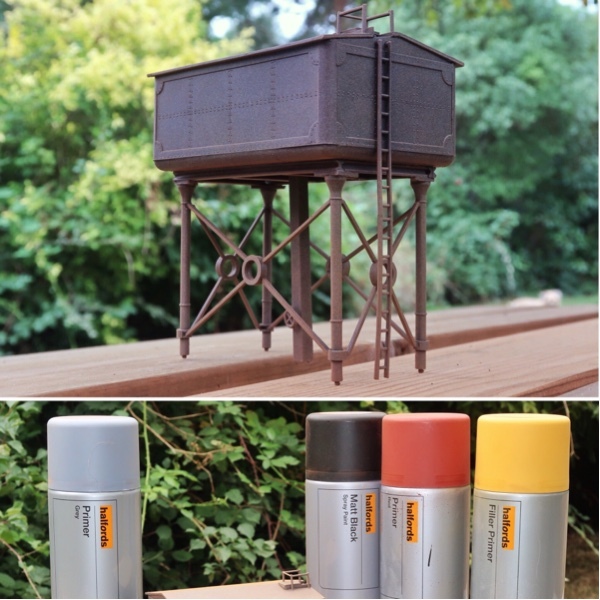 Peco produce 3 different versions of the kit, this is the 'wooden' version, which uses a laser cut MDF building shell and a plastic injection moulded roof plus other details. Peco also produce 'brick' and a 'stone' versions - those are available as all plastic kits. The build took 4 hours which included the painting time - a nice afternoon project sitting in the garden. The instructions recommend impact adhesive for gluing the MDF bits, but I find that super glue/cyanoacrylate adhesive better, if only because you don't get all the associated stringy threads of glue. 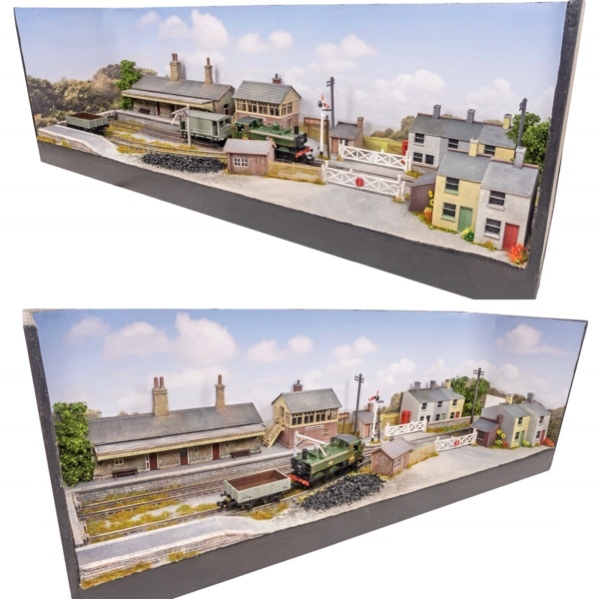 The kit is supplied with a base, which to be honest is pointless, all that will do is make it impossible to get inside the building, if like me you want to add the window glazing after painting. Some clever types might want to add lighting too. Irritatingly, the discarded base clips in to the slots that can be seen around the base. I'll have to fill those in due course or hide them behind station furniture. 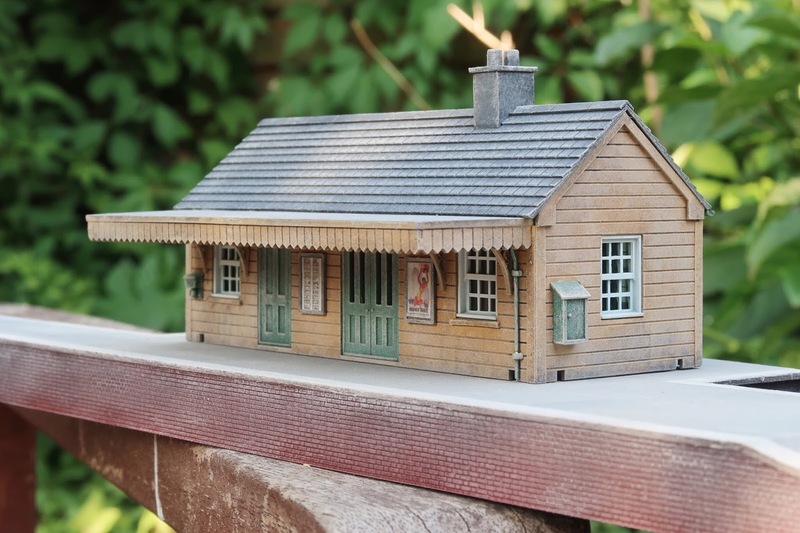 Despite the minor gripe regarding the pointless building base and ugly slots to locate it, this kit makes up in to a rather nice backwater railway building, and one that could suit many a scenario irrespective of railway company or region being depicted. 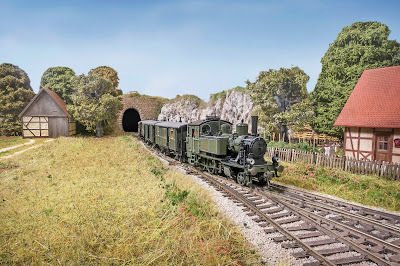 To finish I chose a faded green and cream colour scheme, something that could pass for Southern Railway/SR or even LNER. 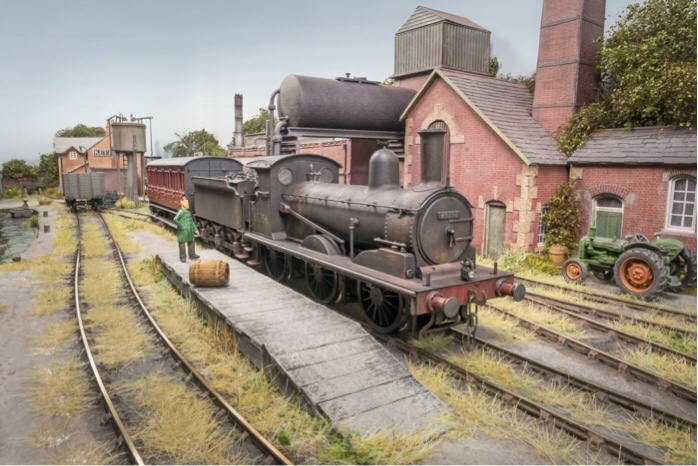 Paints from times long gone soon faded, especially green which was seldom bright and lurid as depicted on many model railways, despite them supposedly being the 'correct colour'. 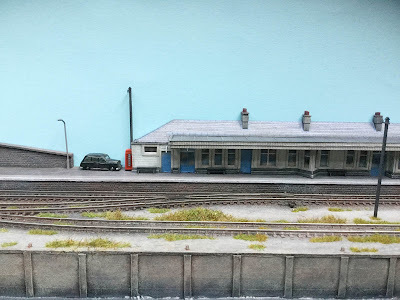 The little building sits on a platform, for this I built up 3 layers 6mm foamboard and topped it off with a mounting board top - all bonded together with PVA. Brick effect plastic card was added to the sides. The card top had edging stones scribed on with a scalpel. 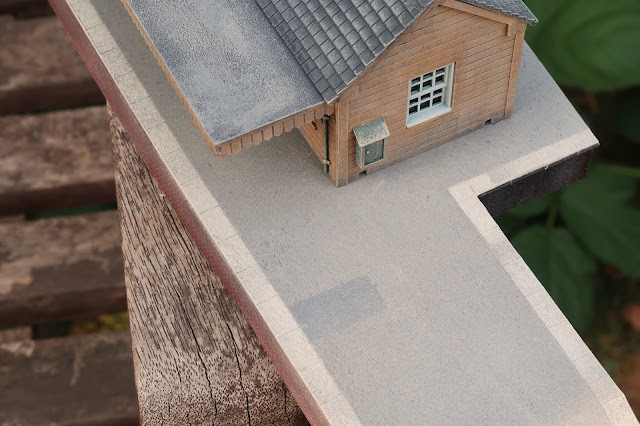 The platform initially looks too deep, but once the track is laid next to it, the height will be about right. 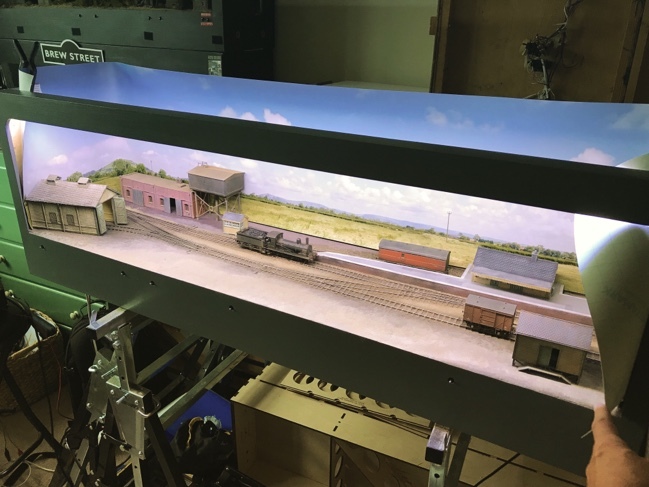 In the UK platforms are a lot higher than most other parts of the world, just use less layers of foam board! Looking down on to the platform, picking out the edging stones in a lighter shade and adding a few repairs adds interest. I used interior matt emulsion paint - increasingly I find myself using such for card structures, they also have the advantage in that they have a little texture - especially if stippled as they dry. Progress with my current commission. A OO Gauge (1/76) branch line terminus in a foot print of 4 x 1 feet. 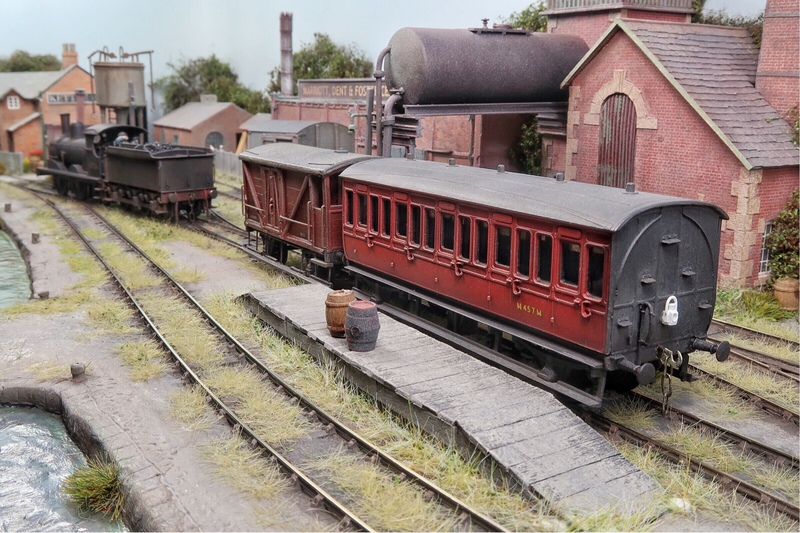 Exit left to fiddle yard. I’m using traditional copper clad point construction here, one of the joys being that a track plan can be drawn to fit the space. Not a straight piece of track here for greater visual appeal. 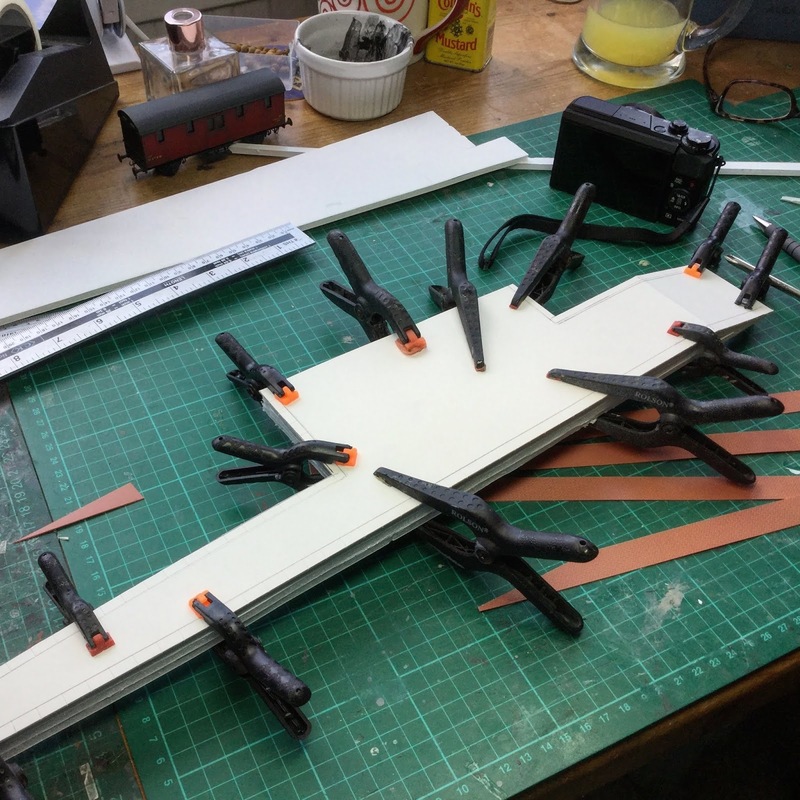 Once the track is constructed, the foamcore base will be glued on to the plywood baseboard- a Tim Horn diorama case/baseboard. 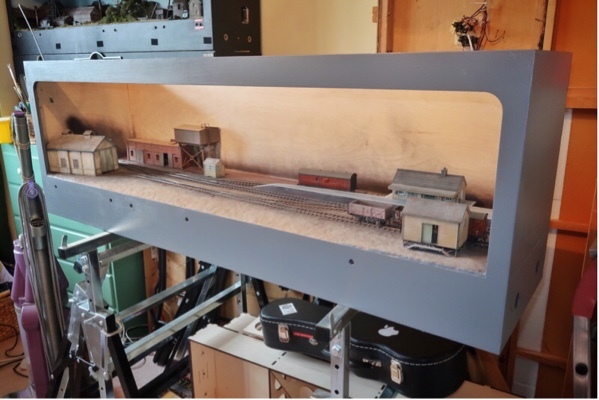 Laying track inside a diorama case would require the skills of a contortionist - this gets around that. Finally finished the tiniest layout I’ve ever built. 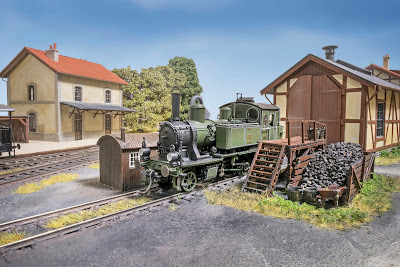 Just 14x4 inches without fiddle yard. Designed to live in a small plastic storage box. Working in such a small scale and footprint definitely sharpens up my act, the camera getting a lot closer than the eye! 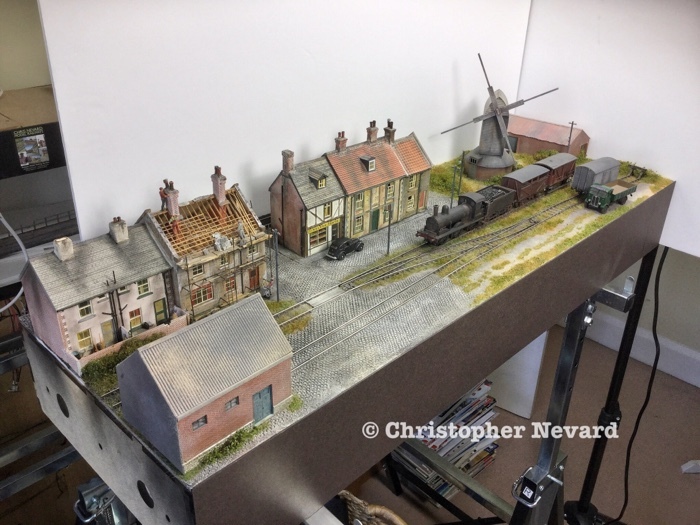 This was a commission, the owner supplying the baseboard with a length of track pinned down - my job was to decorate it to make it look ‘West Country’. I’ll miss this one when it goes on Monday. Could such a small layout (if it can be called that) be a new sub genre #nanolayout ? Rule: 2 square feet? 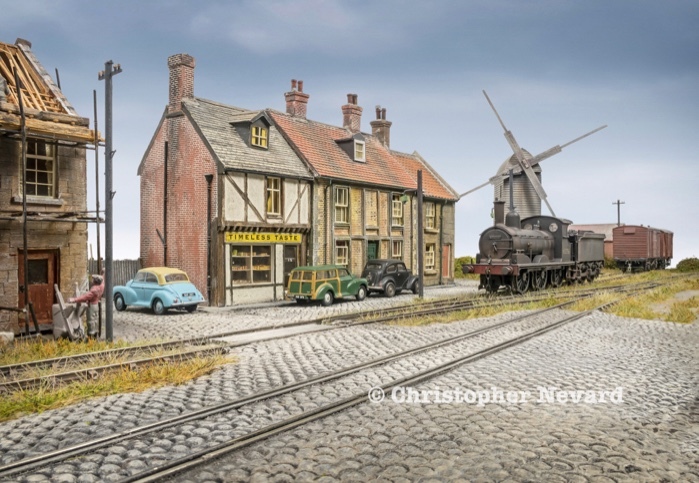 A little fun in the studio, messing about with one of my photo planks, a grubbed up Hornby J15 and a recently built Airfix windmill. The background is a bit of computer jiggerypokery, because I didn’t have the time to build the entire scene. 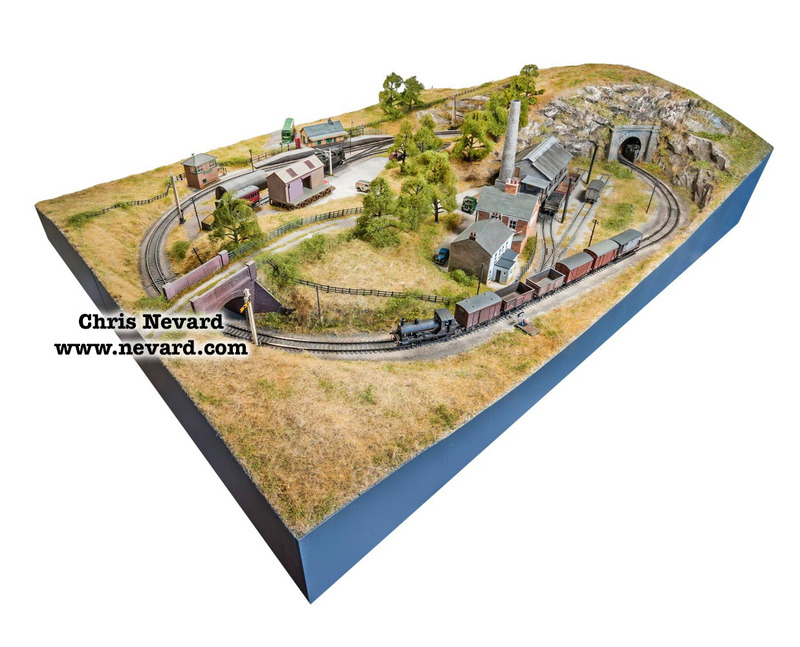 Recreating these mock ups, I find quite useful when planning layout ideas, if only to see what works, or not. Click on the photo above for a bigger version. Later this year I plan build a small East Anglian themed layout when I have time between build commissions for other people. 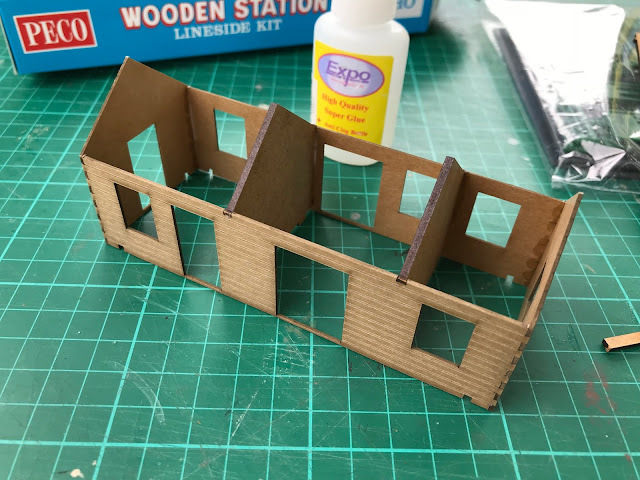 Knocking up all the buildings on weekends between my weekday commercial work is the way forward - the actual layout build can then be quite speedy. 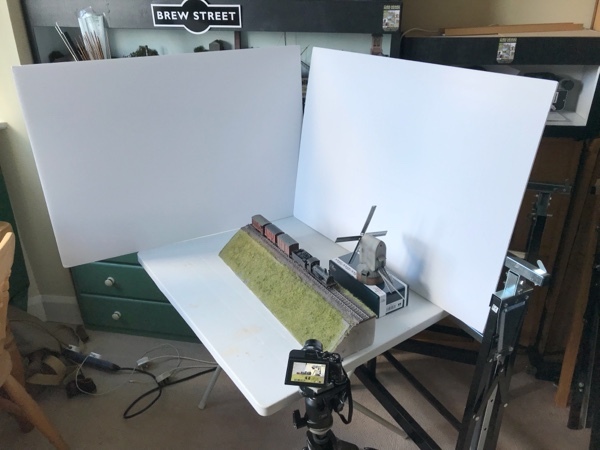 Here is the original set up, just a couple of sheets on white foam board, simply lit with some natural window light. 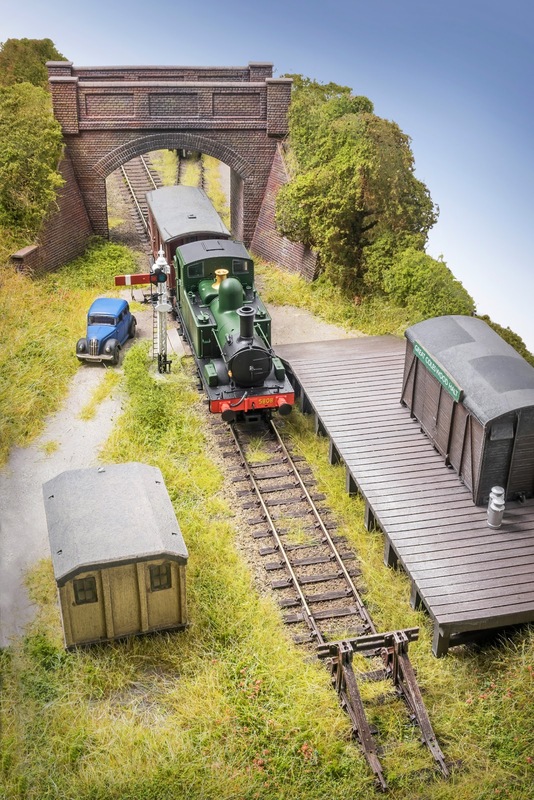 For budding photographers, I highly recommend knocking up a little length of grassy embankment with track. 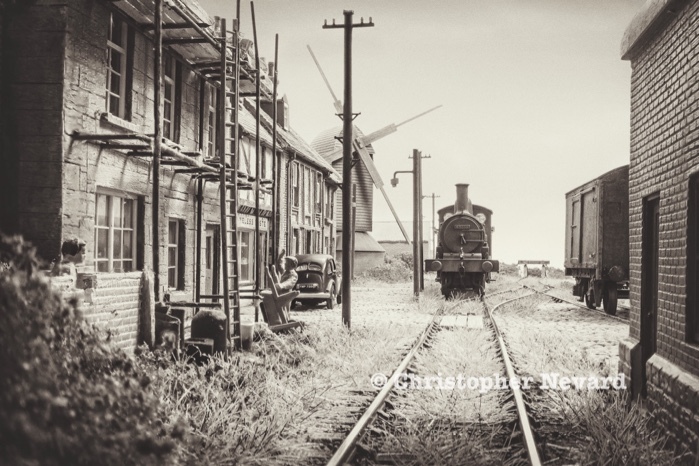 If you don’t want to mess about indoors with your camera, fun can outside with a real background. Another layout in a box! 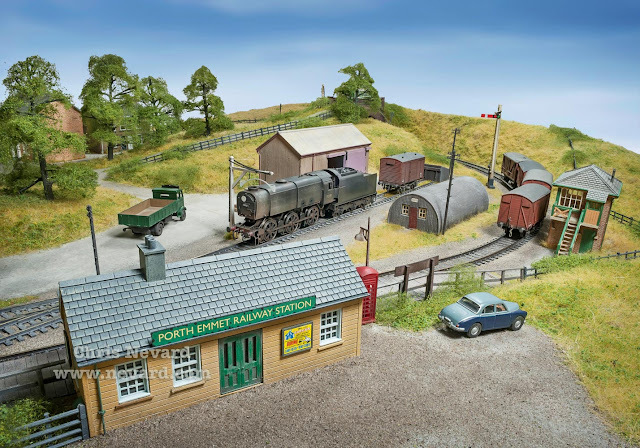 My current project as seen above, has been to complete a tiny N gauge depiction of the Kyle of Lochalsh for a customer - all designed to fit in to one of those plastic storage crates. The photo above shows it awaiting a proper backscene which is currently at the printers. Excuse the ropey mobile phone snap above - I'll do a proper shoot of it before handing it over. The owner, being deeply smitten with Pete Matcham's stunning 2mm fine scale layout, asked me to build something similar - but with my own slant - it would be wrong to build an exact clone. 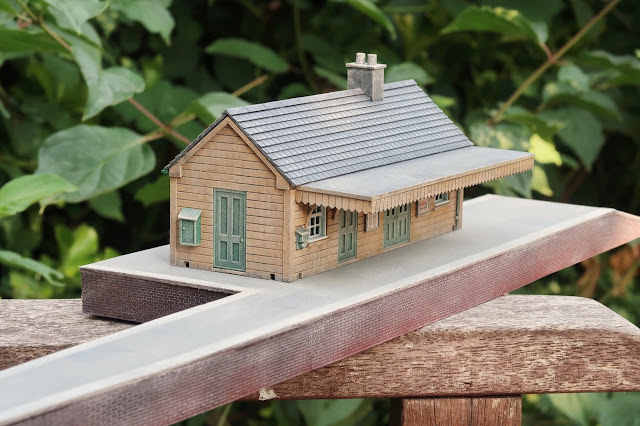 The baseboards were supplied with the track already laid, my job being to decorate it with buildings and scenery - the station building being a complete scratchbuild. 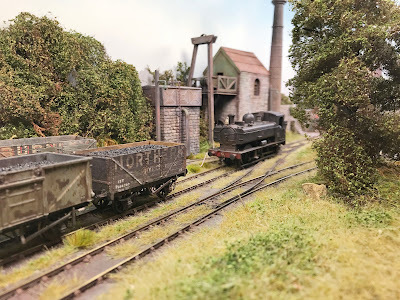 Working in N gauge really sharpens up ones model making because you get in a lot closer with a camera - highlighting any rough bits! I'll come back to this project shortly with some proper photographs once the backscene (currently at the local printers) is in place. Also on the work bench is a 4mm scale model of Gateshead fueling shed, a stalled project originating from a rather rough laser cut kit. 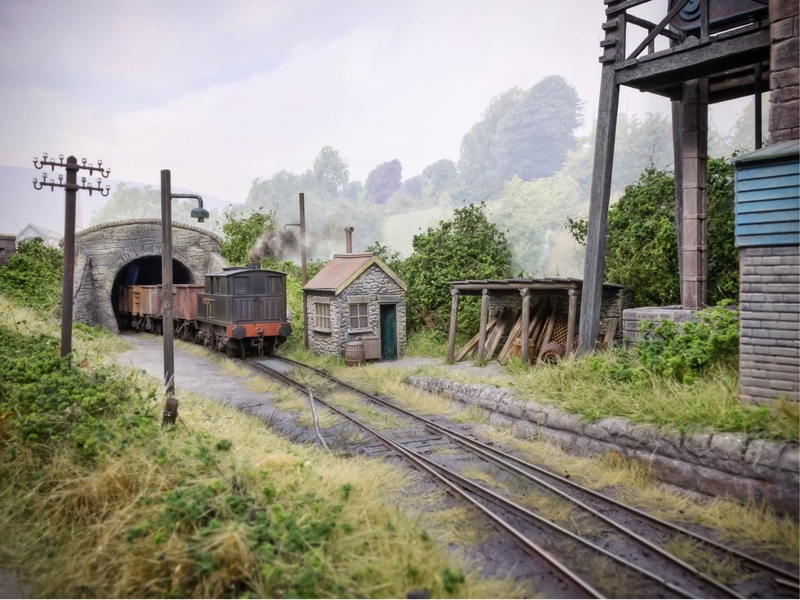 It is currently in the hands of miniature metalwork expert Graham Bone having some intricate brass work added to the roof - before coming back to me for completion. Here is is halfway through the build. A fun little job over the Christmas break was to depict the Bluebell Railway's Adams Radial tank as it arrived shortly after withdrawal from British Railways. 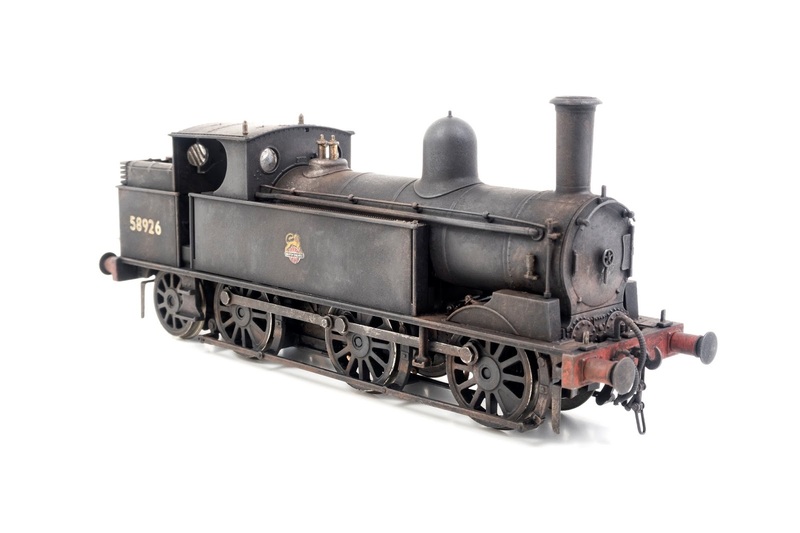 The time worn loco initially had its BR numbering a logo painted over for a short while before being painted in to LSWR colours. 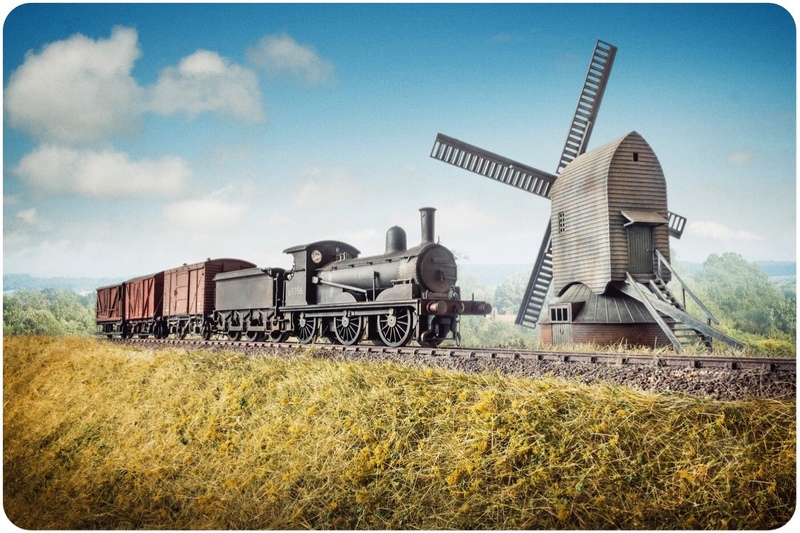 The delightful Hornby model was used for this. 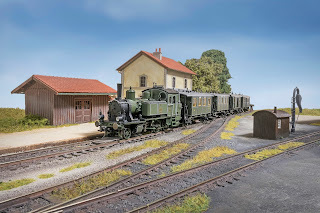 A little bit of loco tweaking last Monday. 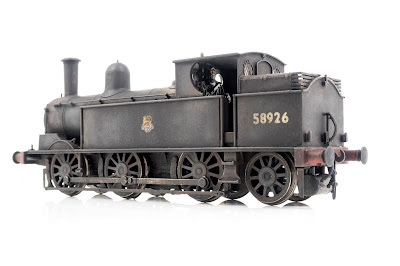 A Bachmann LNWR Webb Coal Tank renumbered and weathered (washes and dry brush, sealed under a top coat of Tamiya Matt). 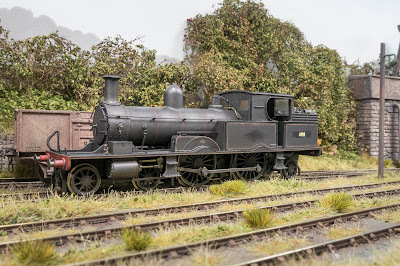 It was originally in LMS livery. The smokebox dart needs to be swapped out for a later type, as and when I find something. 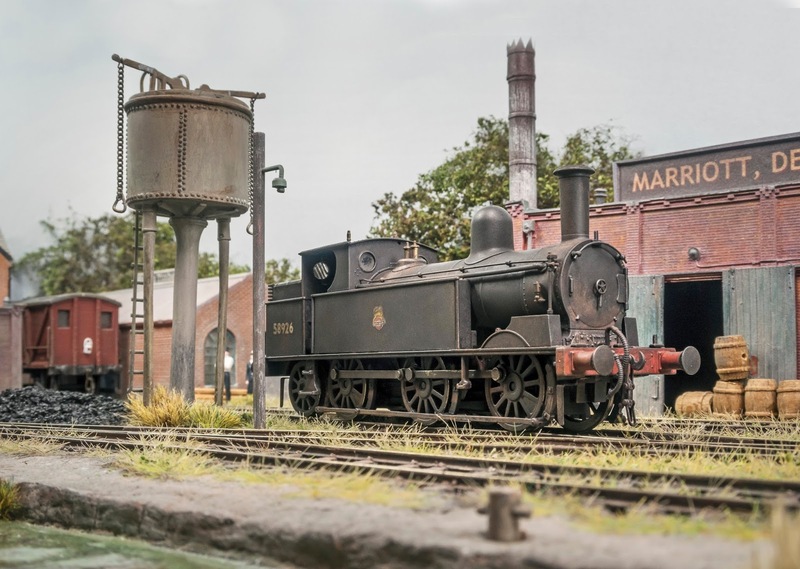 This useful little loco looks very at home on Brew Street. It's a very good runner too, ideal for a shunting layout this one. In December I was as a commercial job invited up to the Scottish Borders to give a Hazelbank a scenic up and under. 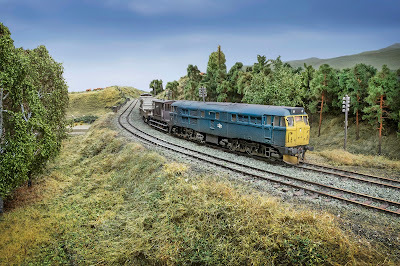 The layout depicting a could have been scenerio on the Waverley Route is 21 x 15 feet - so 3 whole days were spent messing about with static grass and around 60 assorted trees. 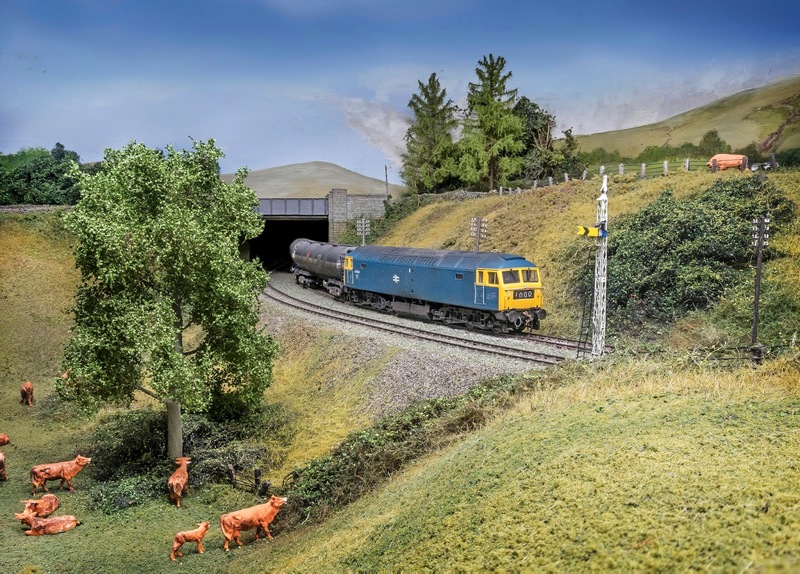 Fresh static grass was applied over the existing tired scenery, selecting suitable colours to depict a late summer/early autumn feel. Left. 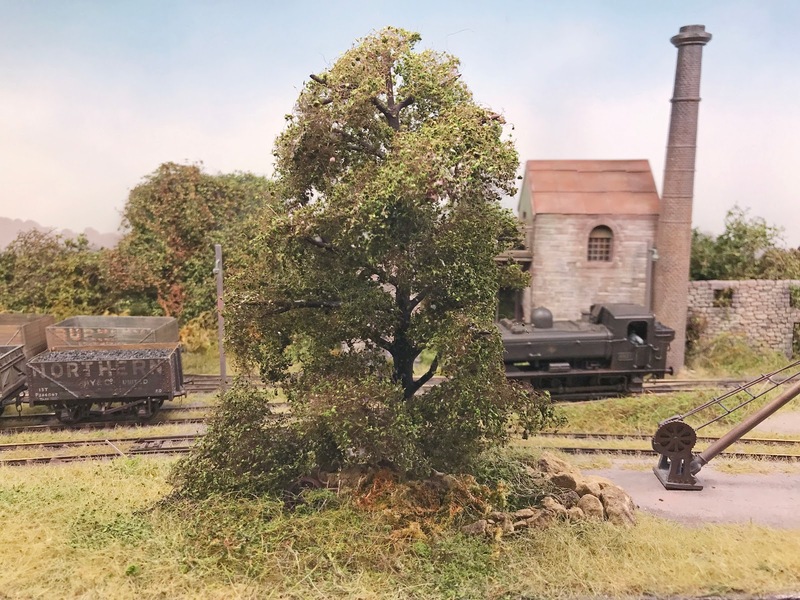 This is a new view on Hazelbank, new trees add a whole new feel to the place - the model being a Scottish Borderland scenero. In addition to trees and static grass, the the mountain river 'Gala Water' has been given a refresh too. Enough of that, back in the autumn I was approached to build a layout in a box. I must admit to not really looking at plastic storage boxes to house a layout until then, but the owner needed to be able to store the layout under a bed or on-end in a cupboard when not in use. 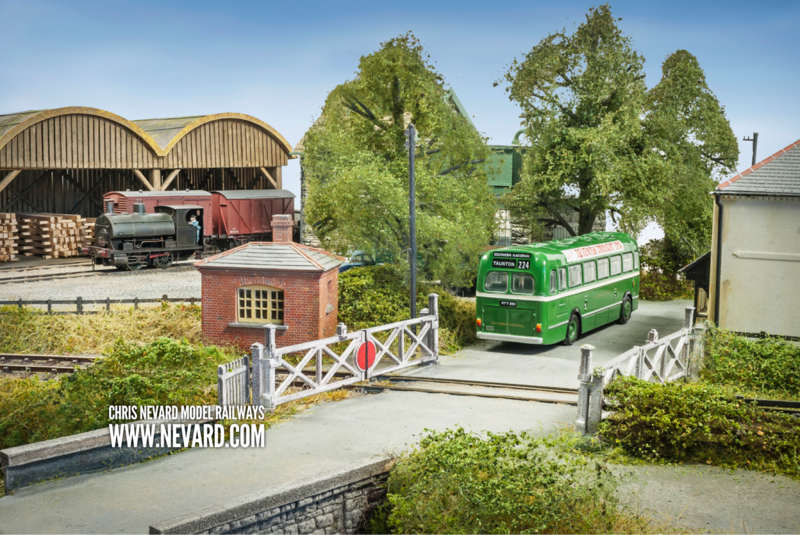 Everything had to be completely self contained in a foot print of 80 x 30cm - and being a fan and serial builder or micro layouts, I enjoy the challenge to see what can be squeezed in, whilst still creating a believable scenario so this was right up me street. 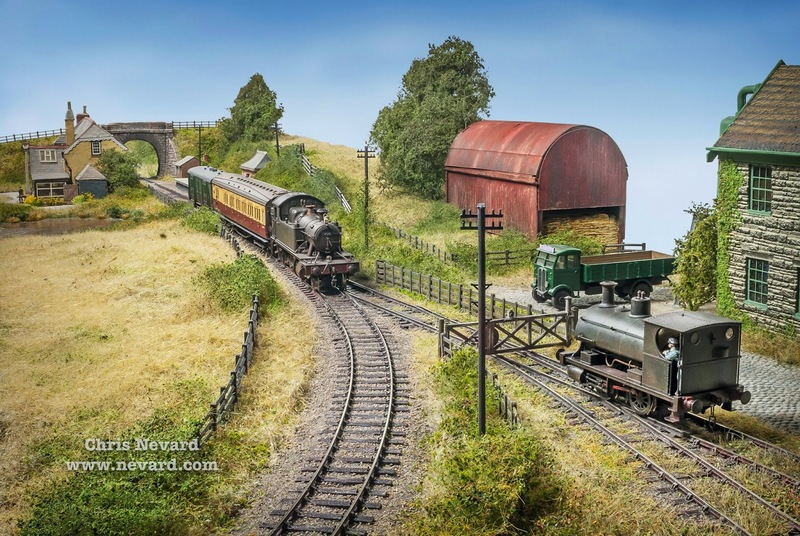 The scenario to be depicted was that of the early days on the Bluebell Railway, featuring a truncated railway halt for brake van rides - Freshfield Halt being some of the inspiration with the line running through a shallow cutting. 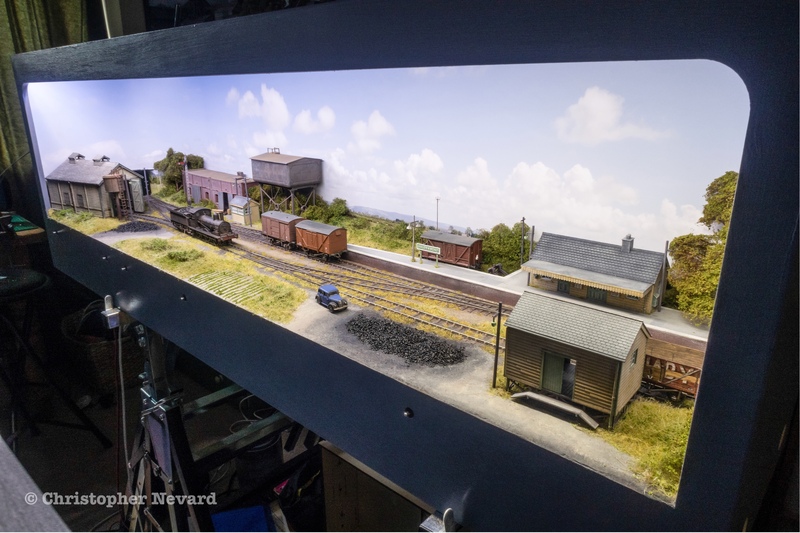 The layout is fully scenic, this end can be used as a fiddle yard.